COFFEE. I mean who doesn’t love coffee? Especially as a Berkeley student? We live and breathe coffee. What’s a better way of consuming your daily dose of caffeine than through eating ice cream? 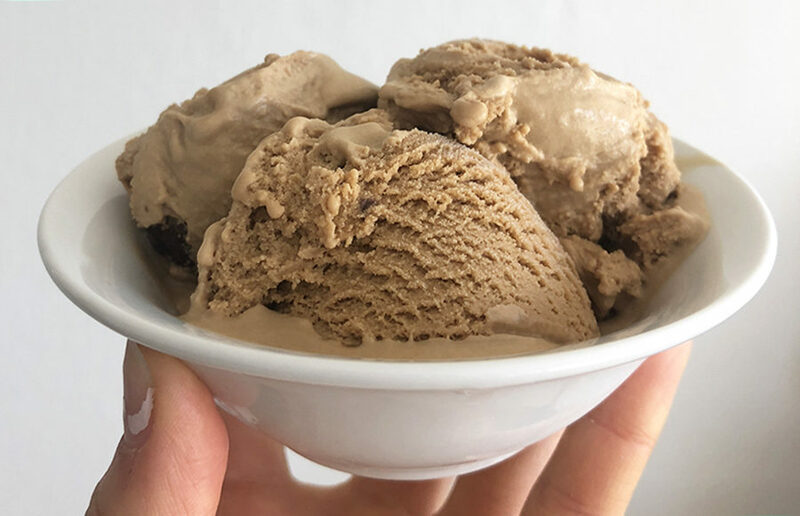 Sept. 6 was National Coffee Ice Cream Day, so we at the Clog have provided you with an easy, delicious, extremely creamy and fully caffeinated coffee ice cream recipe to enjoy. There’s no churn required, and it only consists of four ingredients! What are you waiting for? Try it out! In a medium-sized bowl, combine the hot water and coffee powder. Stir until the powder is completely dissolved, and let it cool to room temperature. While the coffee is cooling, whip the heavy whipping cream in a large bowl until firm peaks form. You may do this by hand or with a machine. Combine the condensed milk into the cooled coffee, and stir until everything is well combined and smooth. Mix the coffee mixture and whipping cream together until it becomes thick. Place the ice cream mixture into a freezable container, and place it in the freezer for about six to eight hours. Voila! Now you have easy access to coffee ice cream right in your freezer. We weren’t joking when we said it’s an extremely easy recipe. We hope you had a brew-tiful National Coffee Ice Cream Day, filled with a delightful sugar and caffeine rush!